I just heard about this magazine not too long ago. I love magazines so I can tell you that I was the first to grab this freebie! 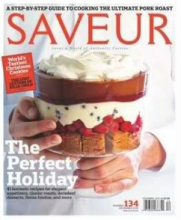 If you want a fun magazine filled with mouth watering foods and ideas, head over and grab your FREE subscription to Saveur today! 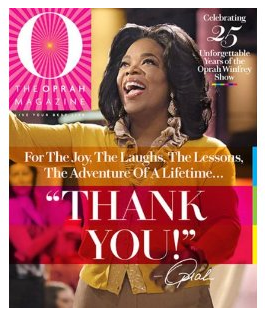 In honor of the last Oprah Show, O Magazine is on sale today for only $9. This is a one day sale from Amazon.com. This would make each magazine only $0.75 each! WOW! Head over to Amazon to get your subscription. Offers May 25, 2011 in entertainment, magazines · Expired! Coupons May 3, 2010 in magazines · Expired! I was just looking over the coupons that will be available in the April edition of All You Magazine. There are some really great ones available. I finally got my own subscription, because I was missing out on some great buys. Not only is the magazine filled with coupons each month, it has a little bit of everything. The money you spend on the subscription could be paid back with the coupons from one month alone! Deal Seeking Mom found this great offer. Get a FREE one-year subscription to Martha Stewart Living! I guarantee this one won’t last long, so hurry to grab yours now. If you would like a free issue of Mom Magazine, fill out the form here and register. Mom Magazine is the magazine that brings moms together! While supplies last. Thanks, Tracie! You can get 2 free issues of Real Simple magazine as a special offer through Williams-Sonoma. No credit card required. I love this magazine and have subscribed to it for years. There is always something useful in each issue. Click here for your free offer.